share your perspectives with others? inspire others to cultivate wellness through yoga? integrate yoga techniques into your current work? become a registered yoga teacher (or even a well-studied yogi or yogini)? 5 Koshas Yoga & Wellness and the River Flow Yoga Teacher Training School offers the 200 hr Yoga Teacher Training. Acquire a solid foundation in yoga for your personal practice and for teaching groups and individuals. Learn to adapt yoga practice to serve the practitioner. Experience a dynamic curriculum that respects an authentic tradition of yoga and applies it to settings like health care, schools, senior centers, worksites, gyms, and yoga studios. Grow with your Saṅga, forming life-long friendships. Be eligible for registration with Yoga Alliance at the RYT-200 level. Meet the minimum requirements for entry into IAYT-Accredited Yoga Therapist Trainings. River Flow Yoga, LLC is approved as a yoga school by the State of Wisconsin Educational Approval Board to offer this 200 hr. 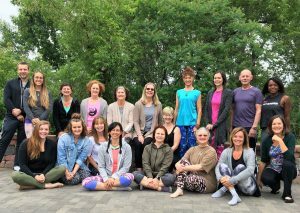 River Flow Yoga Teacher Training. The journey begins with a focus on you and your personal practice as a means for understanding and living yoga. From that foundation, you will learn and practice the most important skills for teaching so that you can facilitate yoga for individuals and groups. Mary Hilliker, RD, E-RYT 500, C-IAYT has been a student of yoga for over 27 years and a teacher for 20 years. She has over 4200 hours of teaching experience. Her interest is in seeing each student in the training gain ease and confidence as a practitioner and as a teacher. Mary feels a commitment to seeing each individual and the group as a whole progress in their knowledge and skills. Her foundations include studying with Gary Kraftsow of the American Viniyoga Institute for 500 hr. Viniyoga Teacher Training and Yoga Therapy Training and Liz (Chandler) Patric for 200 hr. Hatha Yoga Teacher Training. Dr. Beaumont has a deep interest in complementary care including Ayurveda, Chinese Medicine, Acupuncture and Yoga. He is generous in bringing his physiology and neurosurgery background into the training in practical and accessible ways. You will find him engaging as he discusses the autonomic nervous system, the spine and adapting for health conditions. He is a talented yoga teacher in his own right and perceptive and kind as he helps others with their teaching skills. Andrew completed the 200 hr Viniyoga Wellness Instructor Training (2014-15) and is currently completing the 500 hr. Viniyoga Teacher Training with Gary Kraftsow and the American Viniyoga Institute. 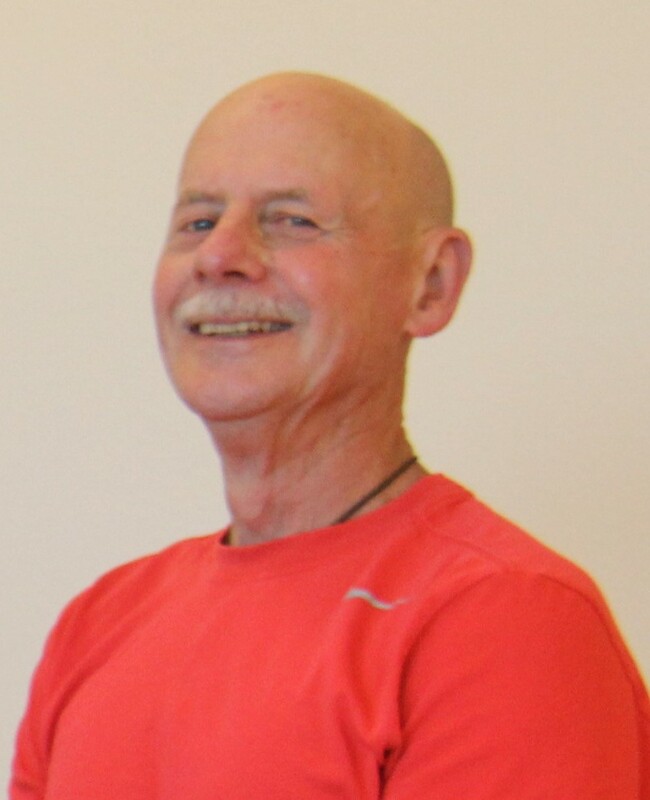 Bill brings many years of experience in teaching methodology into his work with yoga teachers-in-training. His enthusiasm for yoga and teaching comes through in his gentle guidance. He helps students master skills one step at a time so that they gain confidence in their abilities to practice yoga and teach. A sense of humor is required for any practice or small group experience with Bill! Bill completed the 200 hr Viniyoga Wellness Instructor Training (2014-15) and is Certified in Gentle Yoga For Low Back Care (30 hrs.) 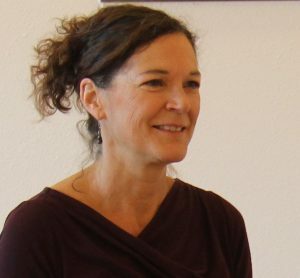 through Justine Shelton and Yoga Vista Academy (2017). He has also received training through the Veterans Yoga Project in Mindful Yoga Trauma Recovery (2016). 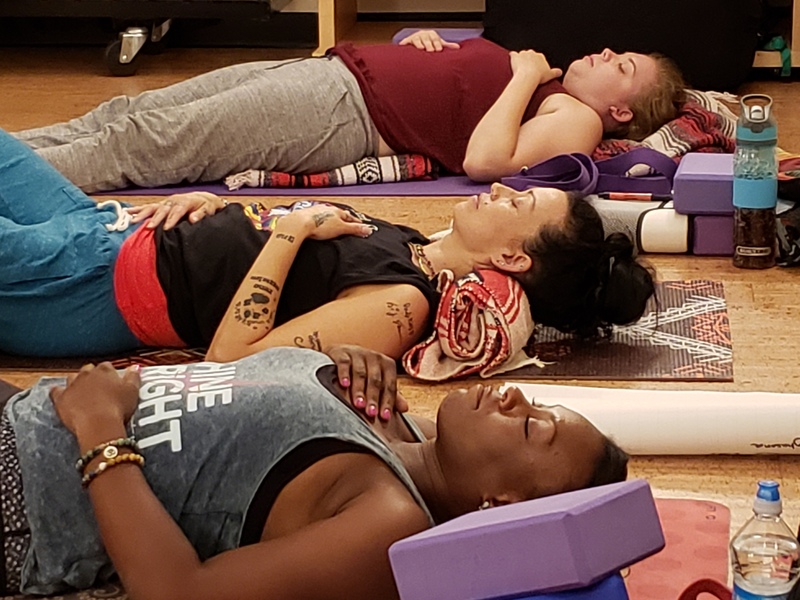 Heather has been immersed in yoga for over 15 years, including over 7 years as a teacher and more recently as a Yoga Therapist-in-Training with Gary Kraftsow and the American Viniyoga Institute. 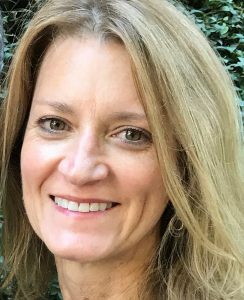 Her experience as a High School & Jr. High English Teacher and Coach, business owner (Managing Partner, 5 Koshas Yoga & Wellness) and experienced Viniyoga teacher at the 500 hour level inform her work with teachers-in-training. Heather has over 2500 hours of experience teaching students of all ages and in many different community settings. She brings great insight, creativity, mentoring and kindness to students in the program. Jane’s experience as a nurse and health coach, a former yoga studio owner, yoga teacher and Yoga Therapist combined with her sharp intellect enhances her work with teachers-in-training. She has over 20 years of acute care nursing experience in specialty areas such as oncology, coronary/surgical intensive care, and post anesthesia care. Jane holds certifications from a 200-hour hatha yoga teacher training and the AVI Viniyoga Therapist training and she continues to advance her knowledge and study of Viniyoga with her teacher Gary Kraftsow of the American Viniyoga Institute. Jay’s passion for Vedic chanting and his accessible way of teaching Vedic chant and the Yoga Sutra-s of Patanjali enhances the student’s experience in our training program. Jay is a 200 hr. 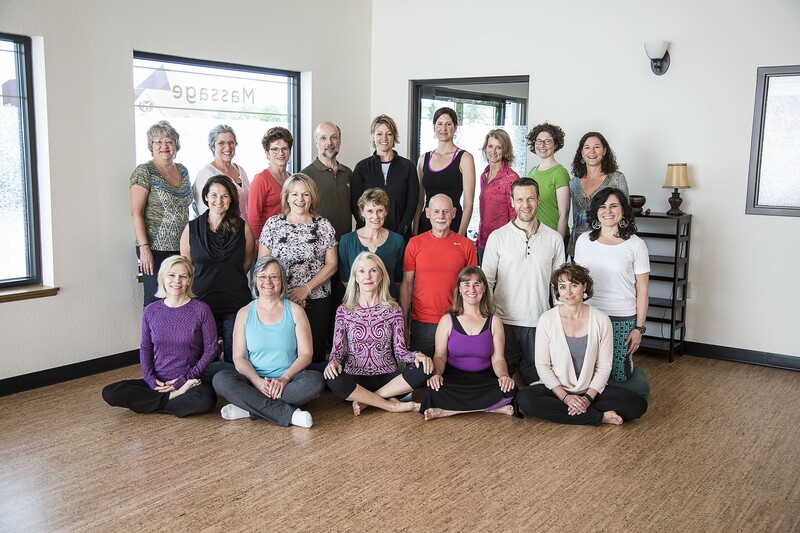 Viniyoga Wellness Instructor (2014-15 class) and Studio Manager for 5 Koshas Yoga & Wellness. He continues to study Vedic chant with Linda Speckman and Sonia Nelson (Vedic Chant Center). Jay brings his knowledge of healthcare where he worked on the insurance side of the industry as well as his wisdom about the daily workings of a yoga studio into the training. He leads chanting of the Yoga Sutras during each weekend session. Maggie’s immersion in the Yoga Sutra-s of Patanjali and Vedic chanting, her embodiment of yoga through 50 years of practice and her 20+ years of experience as a yoga teacher enriches our training. Maggie is certified at the 500 hour level through the American Viniyoga Institute (AVI), is registered with Yoga Alliance E-RYT-500, and is certified as a Yoga Therapist through the International Association of Yoga Therapists (IAYT). Her primary teachers have been and are Gary Kraftsow (AVI) and Sonia Nelson (Vedic Chant Center). 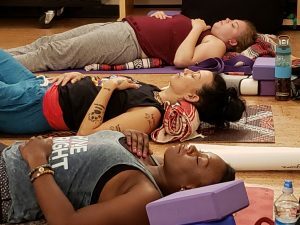 She teaches classes in asana, pranayama, and the Yoga Sutra-s and sees students one-on-one for Yoga Therapy at RiverGarden Yoga Center in St. Paul, MN. Wit, wisdom, insight and excellence in teaching and group facilitation are qualities that Mary brings to the teacher training. In addition to her 200 hour Viniyoga Wellness Instructor certification, Mary also brings many years of experience as a facilitator with the UW-Extension into her interactions with students. Mary teaches ongoing classes at 5 Koshas Yoga & Wellness for Stress Relief & Deep Relaxation and leads workshops on leadership, team building and whole-hearted living. She is particularly gifted in teaching methodology and making yoga accessible for a wide range of students. Pauline has over 13 years of experience as a yoga teacher, training in 2007 in Hatha Yoga and in 2014 as a Viniyoga Wellness Instructor. 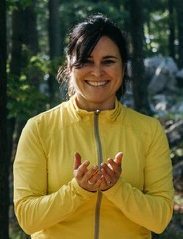 Her insight and fun-loving nature as well as experience with teaching beginning yoga students informs her teaching style as well as her mentoring of teachers-in-training. Pauline takes an interest in the transformation of every teacher-in-training. She wants to see you grow as a practitioner and as a teacher. 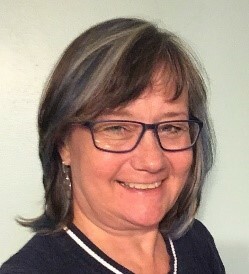 Pauline teaches a variety of classes at 5 Koshas Yoga & Wellness, including Yoga for Beginners & Beyond, Yoga for Mental and Physical Balance and Senior Mat and Chair Yoga. Renee’s care and nurturing of her yoga students carries over to her mentoring in the teacher training. 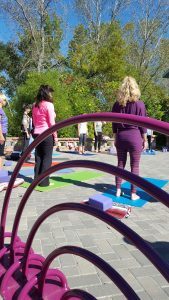 Prenatal and Postnatal Yoga and Yoga for Beginners and Beyond are among Renee’s regular classes at 5 Koshas Yoga & Wellness. 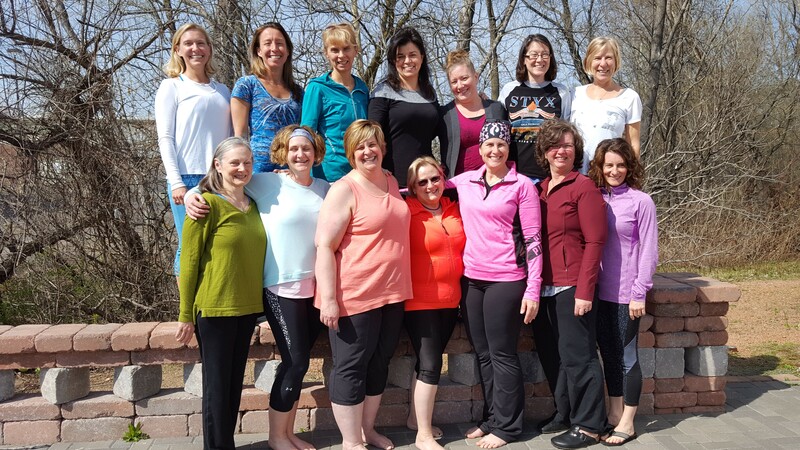 Renee is certified as a 200 hour Viniyoga Wellness Instructor (2014-15) and Prenatal Yoga Teacher (Jennifer Colletti, Yoga Center of Minneapolis, 2017) in addition to completing the Yoga Bonding Postnatal & Mom and Baby Yoga Teacher Training Course (2016). She teaches across the lifespan and is particularly gifted with adapting yoga for a variety of individuals including prenatal and postnatal. H umor, intellect, and perspective are key qualities that Steve infuses into the teacher training. He also shows up with his yoga book collection to share resources and guide further study. Trained in Pilates as well as the Shambhala Buddhist tradition of meditation, Steve found yoga in 2006. An E-RYT 200 hour trained teacher in Vinyasa flow, Steve’s passion revealed itself in the Viniyoga tradition. Steve went on to study with Gary Kraftsow and the American Viniyoga Institute in the 500 hr. Viniyoga Foundations Program and Yoga Therapist Training. 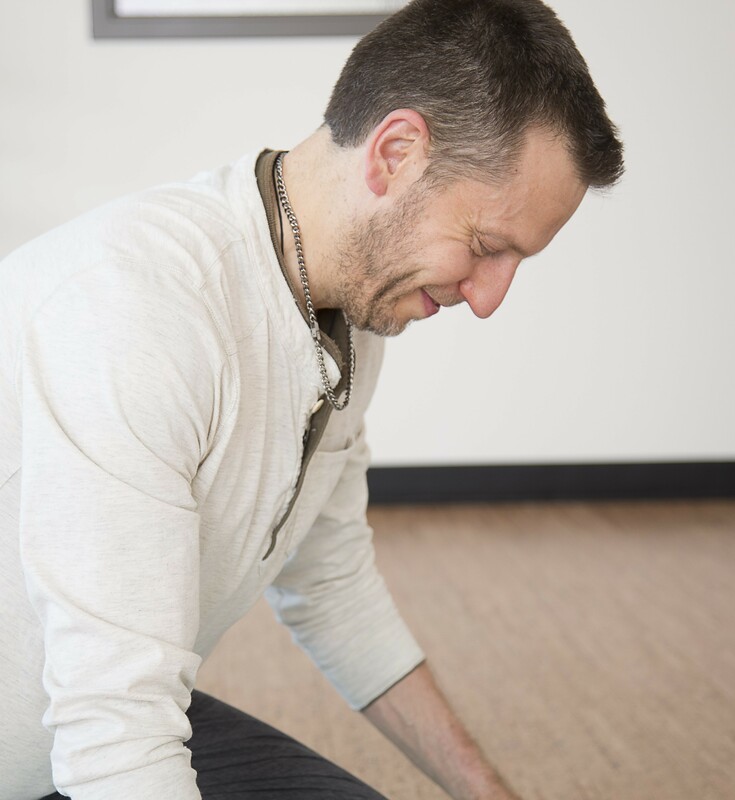 He’s a RYT-500 hour teacher and a Certified Yoga Therapist offering classes and private sessions in the Milwaukee area. Contact Mary Hilliker at mary@5koshasyoga.com for a copy of the training catalog and curriculum. Application is due by Feb 25, 2019 along with the $100 application fee. Missed the deadline? Contact Mary at mary@5koshasyoga.com to see if there any spots left in the training. Late applications may be accepted until April 15, 2019. There is a $100 application fee. Applications are due by February 25, 2019. The application fee is non-refundable. If you miss the deadline, please contact Mary at mary@riverflowyoga.net to see if there are an additional openings in the program. Early Discount Tuition is $3200 if paid 8 weeks in advance of the start of training (March 3, 2019). Tuition is $3400 if paid between March 4 and April 15, 2019. Payment plans: A partial tuition payment of $1200 must be made by April 15, 2019. Twelve (12) additional monthly payments of $200.00 will be required. Payment plans are done automatically from a credit or debit cards on the 15th of each month starting May 15, 2019. All payment plans must be completed before certification is granted. Jay Coldwell, Studio Manager, will be in contact to set up a payment plan after the deposit is made. Pay the Deposit on Tuition for a Payment Plan Use the drop-down menu to select the deposit. Contact Mary at mary@5koshasyoga.com or call/text 715.218.7120 to request an individual appointment scheduled at your convenience to discuss the program.